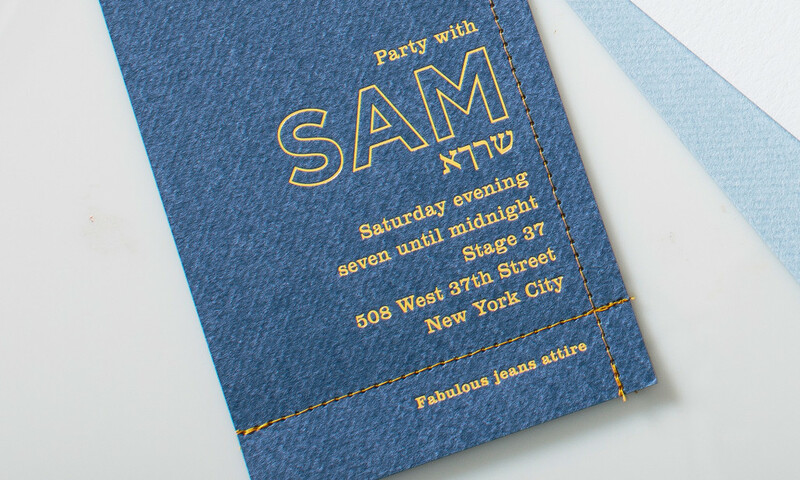 Inspired by the fabric of a prayer shawl and denim, this bar mitzvah suite is traditional and youthful at the same time. 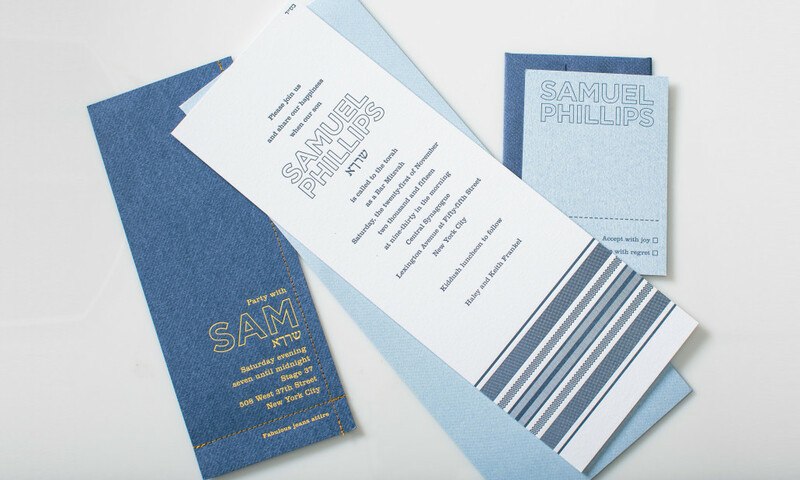 The oversized main invitation is letterpress printed on thick cotton paper while the party card is foil stamped on dark blue “denim” like paper with real stitching. “Acid washed” paper for the reply card and outer envelope round out the set.